Bagan, Myanmar. Photograph by C. Kennerly. The insider advice on this page is from one of Wendy’s Trusted Travel Experts for Southeast Asia: Sandy Ferguson of Asia Desk. Sandy grew up in Southeast Asia, graduating from the International School of Bangkok in 1969 while his father was serving in the Vietnam war. 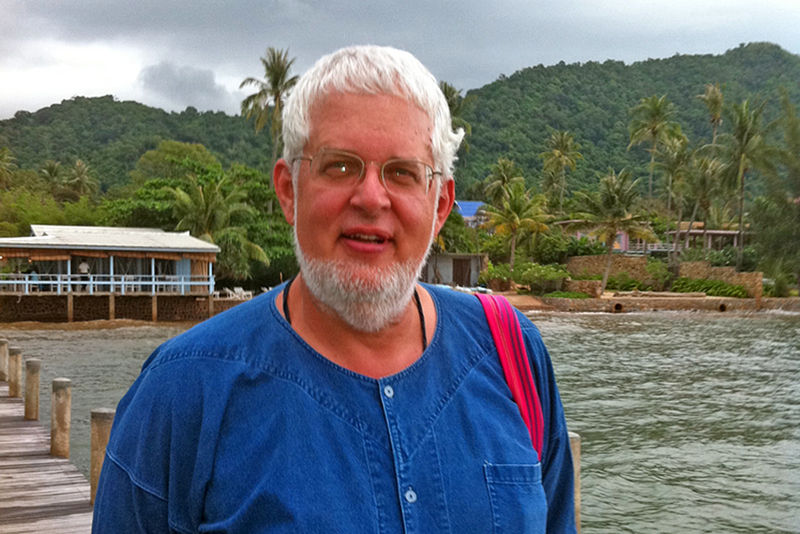 Eventually he formed his own tour company, with offices in Thailand, Vietnam, Laos, and Cambodia. Today, living in both Atlanta and Saigon, he and his son Jackson (whose mother started one of the first private tour companies in her home country of Vietnam) craft tailor-made itineraries that cater to individual tastes and interests and make the most of your precious time. Sandy knows what works best for travelers, and, just as important, what doesn’t. He has a vast network of powerful contacts in the hotel industry—where Jackson worked for a decade—which translates into status for you, and he maintains complete control of every detail of a trip, right down to handpicking every guide—all charismatic locals whom Sandy considers family (some of them really are!). These hosts are the ultimate well-connected experts in their destinations, ensuring you get a trip of a lifetime. Trips start at $600 per day for two travelers, including accommodations, breakfast daily and some lunches, transportation, private guiding, and all entry fees while sightseeing; minimum booking requirement of $5,000 for land arrangements of two or more people. Mandarin Oriental Bangkok. This is without a doubt one of the finest hotels in Asia and the best value you will find at the luxury end of the spectrum—it may be expensive, but you get so much more here than you would for the same price in London, New York, or Tokyo. The service is better than in most top-notch European hotels, because the Mandarin Oriental pays well and retains talent; everyone from chambermaids to bellboys takes a lot of pride in the place. The hotel also has a great location right on the river (wherever you stay in Bangkok, make sure it’s on the Chao Phraya). The Superior rooms in the River Wing are just fine, but if you want the prime view, book one of the eight Staterooms, which face the river head on. Nha Hang Ngon. Both locations in Ho Chi Minh City and Hanoi are always full of locals because they offer a large range of the very best street food in stylish surroundings. Working in a leafy garden ringed by food stalls, each cook serves up a specialized traditional dish, ensuring an authentic taste. The grilled chicken and the banh zao (shrimp and pork in a coconut crêpe) are the best in all of Vietnam. Eon 51, on the 51st floor of the Bitexco Financial Tower right in the heart of old Saigon, is a sky-high restaurant taking fine dining to a new level in Saigon—quite literally. But be warned: If you’re scared of heights, better give this open-theater kitchen a pass. Book in advance, as the restaurant is limited to 30 diners per night in order to ensure that the experience is amazing. Bánh Xèo—literally “sizzling cake,” named for the loud sound it makes when the rice batter is poured into the hot skillet—is a Vietnamese savory fried pancake (it resembles a French crepe with a crispy edge) made of rice flour, water, and turmeric powder, and stuffed with slivers of fatty pork, shrimp, diced green onion, and bean sprouts. They are served wrapped in mustard leaf or lettuce leaves, and stuffed with mint leaves, basil, fish leaf and other herbs, then dipped in a sweet-and-sour diluted fish sauce. My favorite is the southern-style bánh xèo you get in Saigon, because it contains coconut milk. Tad Sae Waterfall, Luang Prabang. Follow the Nam Khan River to a great spot just below this waterfall, a stunning limestone cascade with fluorescent turquoise pools. Here also lies the tomb of the nineteenth-century French explorer Henri Mouhot, the first European to rediscover Angkor Wat and to visit the Royal Kingdom of Luang Prabang. Many Lao people picnic here, so come early on weekends to get a good spot. A floating market in Vietnam. Photograph by C. Kennerly. Mekong Delta, Vietnam. Many people have heard that Saigon (the French district of Ho Chi Minh City) is boring and not worth a visit, but in fact it’s one of Asia’s most civilized cities, and it’s small enough that you can see it all in a day. If you have more time, make the three-and-a-half-hour drive to Can Tho, the biggest city in the Mekong Delta (Asia’s breadbasket), and the following morning experience a real floating market—not staged like you’ll find in Thailand. Delta folks are the friendliest in the country, with an outstanding variety of cuisines and regional dishes. A few million people were executed in and around Phnom Penh, giving the city a very creepy feeling. It is quite a shock when visitors are told that many of the palm trees lining the streets are also the graves of the four or five people who dug the hole. Southern Laos, a paradise known as “Four Thousand Islands.” With the arrival of quality accommodations such as the River Resort in Champasak, visiting the mysterious pre-Angkorian tenth-century temple of Vat Phou, the islands of Don Khong and Don Khone, the Tad Somphamit (Liphi) waterfall, the famed Irrawaddy River dolphins, and the other attractions of the region is now a lot more comfortable. See it now, before word gets out! The Chiang Mai “Street of Walking People,” as it translates from Thai. Every Sunday, rain or shine, most of Chiang Mai turns out for this market, which lasts from 4 p.m. until midnight, starting at Thapae Gate and running the length of Ratchadamnoen Road through the heart of the Old City. The street is closed entirely to vehicular traffic, allowing locals to meet, browse, socialize, haggle, and enjoy. The market is a real showcase of the art and craftsmanship of northern Thailand: Many of the stallholders, most of whom have other jobs, have personally made the items they sell. Food and drink are also available in glorious abundance, with vendors at a number of temples along Ratchadamnoen Road selling fabulous local treats cooked right before your eyes. 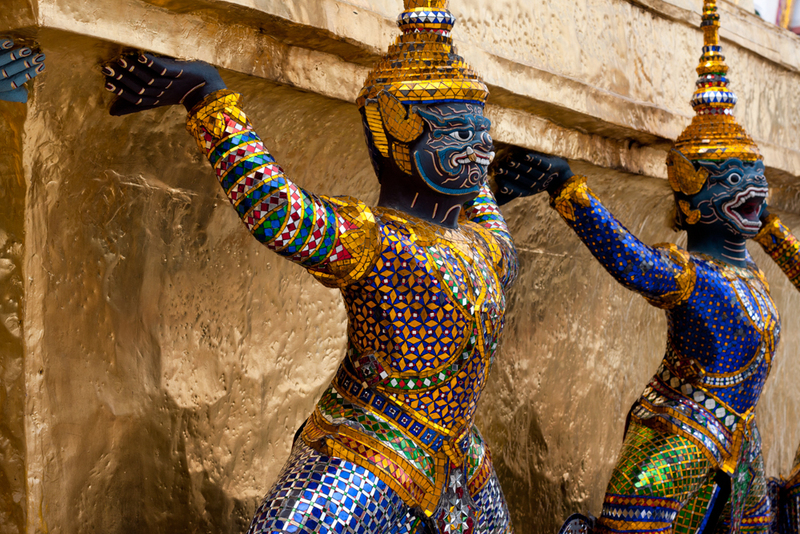 You can enjoy your meal watching the street performers that include traditional musicians, Thai dancers, puppet shows, and even rock bands all along the route. Only Asia Desk can arrange for you to see sunrise at Phnom Krom Pagoda in Siem Reap, which sits on a hill overlooking the Tonle Sap Lake and Angkor Wat. For many of our guests, this predawn experience is the high point of their entire visit to Cambodia. It begins with a departure from your hotel just after 4 a.m. to join the monks at the pagoda for their morning prayers and meditations. The abbot is our old friend and you will meet him just before dawn, as the monks begin a purification ceremony that includes chanting, prayers, a sermon (which your guide translates), and a final blessing with holy water. The ceremony concludes just as the sun has risen and spreads light throughout the Angkor plain, with the great lake and temples of Angkor in sight. Step out of the temple to a picnic breakfast that is waiting for you on an excellent perch overlooking it all. After breakfast, you will bid the monks good-bye, climb back down the hill, and return to your hotel with many fond memories of this truly rewarding experience. Cooking at the Knai Bang Chatt Resort in Kep-sur-Mer, Cambodia. Start early in the morning in the fresh market and spend the rest of the day cooking with local expert guidance, until it’s time to eat the fruit of your labors. After the meal, a hammock will do you right in this colonial-era seaside resort, just down the Cambodian coast from Kampot. Kep, which has the feel of an old colonial ghost town replete with casino, has no beach; there is instead a grand breakwater that stretches the length of the old town. The Gulf of Thailand forms a bay here with Kep on one side and the Vietnamese island of Phu Quoc on the other, so the water is as calm as a lake, with many piers jutting out. Northern Thailand, Myanmar, and Laos are best from October through January; though this is the “cool season,” expect temperatures in the 80s. Southern Thailand and Cambodia see the best weather from mid-December to March. Vietnam, a coastal country, has the best weather from March to May. The peak of the rainy season throughout the region is September—but even then it is a “daily downpour” kind of rain, with sun in between. Photographers love to come then, as the air is clean and the rice fields are lush and green. Trying to put a 50-pound trip into a 30-pound sack! 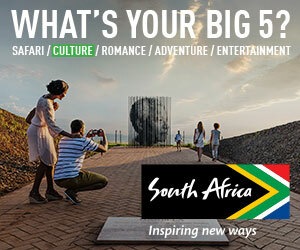 Allow yourself two or three nights at each destination or three to four nights in each area. Based on this formula, it takes 28 nights to see Thailand, Laos, Vietnam, and Cambodia—and that’s not counting Myanmar or any beach time. Bagan Valley, Myanmar. 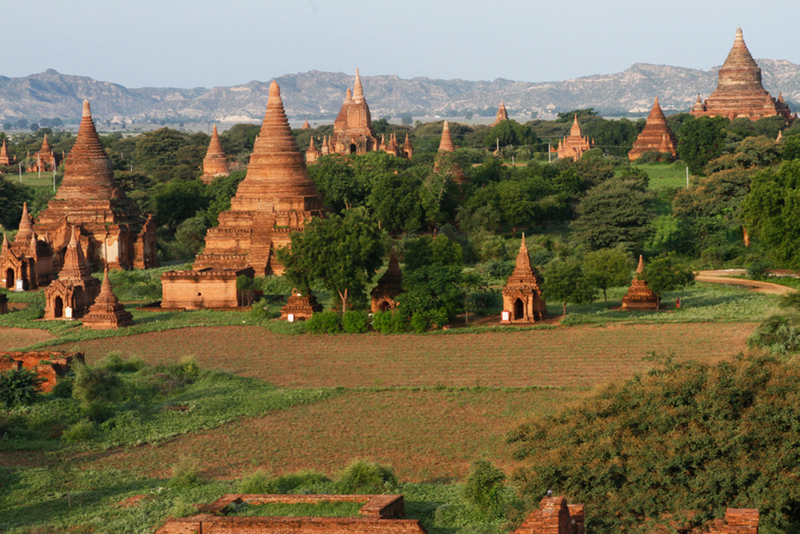 From the ninth to the thirteenth centuries, Bagan was the capital of the Kingdom of Pagan, the first kingdom to unify the regions that would later constitute modern Myanmar. During the kingdom’s height between the eleventh and thirteenth centuries, over 4,000 Buddhist temples, pagodas, and monasteries were constructed in the Bagan plains alone, of which the remains of over 2,200 temples and pagodas still survive. There are many vantage points to get some incredible shots, but come out before dawn for the best light. There are also hot-air balloons that go up very early in the morning; we suggest one morning on the ground and the next morning in the air to get that perfect photo. A bamboo-leaf conical hat. This headgear can be found throughout Southeast Asia, but it’s mostly seen in Vietnam. It can be used as a hat, wall art, or a lampshade, and you can just as easily buy four as you can one, because they nest for travel (though you may well end up carrying them, as they are awkward to pack). This style of hat is used primarily as protection from the sun and rain. If you have one in natural bamboo, it can be dipped in water and worn as an impromptu evaporative-cooling device. “Hello, my friend, are you from America?” Watch out for anyone who approaches you at random speaking excellent English. Most scams in Asia (and particularly Thailand) start with a charming “front” person who will end up luring you to a shop, or maybe some more illicit activity. The most common is a shopping ploy along the lines of “I was just on my way to my uncle’s shop, would you care to come along?“ This most often ends up with you buying counterfeit jewelry or overpriced goods. Google Translate’s app will translate your text from English to Thai, Lao, Burmese, Khmer, and Vietnamese and from those languages to English. It is very easy to use and will probably come in handy if you are on your own, especially in the more rural areas of the country. Checking in at all of Thailand’s airports is easy, although the women who go through your carry-on bags in Bangkok are very conscientious about their jobs and confiscate lots of stuff—so be sure to know what is and isn’t permitted. Avoid the “freelance taxis” at all airports, and instead take a car service (there are stands in the arrivals hall) or a metered taxi from the taxi queue outside the arrivals area. If you’re not carrying too much baggage, the fast train from Bangkok’s Suvarnabhumi International Airport to the city center is an easy and convenient way to get to town. It connects to the Skytrain metro system and can save you time as you won’t have to contend with traffic. Tipping in restaurants and hotels is usually not necessary, since a 10 percent service fee is typically included. But I always like to give $1 per bag to porters, $5 per night to maids, and a few dollars to restaurant waiters, since this will not be thrown into the tip pool but kept by those who actually served you. In a taxi, round up to the nearest couple of denominations: If it’s 7, give 10 and hop out. A private guide should get US$10 per person per day, drivers half that. You can always use U.S. currency for tips, but take along at least $30 a day in small bills to do that without running out; $2 bills are considered “lucky money” in Southeast Asia, so bring lots of them.